There is plenty of good value hotel accommodation in Le Mans. 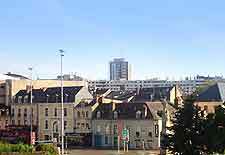 However, Le Mans' busy motor racing calendar means that hotel rooms, or indeed any type of accommodation, can be hard to find in April, June and September. During key racing, events, bookings need to be made well in advance. 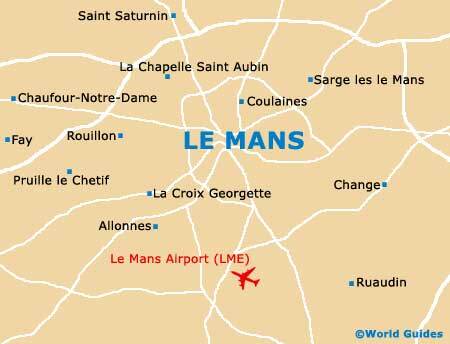 Otherwise, visitors to Le Mans should find it easy to locate accommodation, even at short notice. As well as being a Mecca for racing enthusiasts, Le Mans has more recently become a fashionable destination for visitors taking short city breaks. 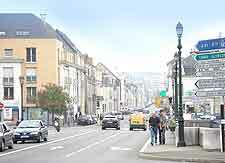 Most hotels can be found outside Le Man's historic district, clustered around the popular Place de la République, or on the Rue de la Pelouse and Avenue du General Leclerc. In particular, a touch of luxury can be found at the elegant Le Mans' Concorde Hotel. 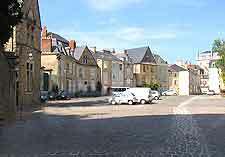 Travellers in search of budget accommodation have plenty of options to choose from, both in the centre of Le Mans and on the outskirts of the city. As well as a selection of chain hotels, which offer basic rooms at reasonable prices, there is also a modern youth hostel. For visitors who prefer to stay at the heart of the motor racing action, there are a number of hotels near the racing circuits. Many visitors prefer to stay in 'chambres d'hôtes', offering bed and breakfast accommodation in nearby villages. During the Le Mans 24 Hours race in June, several on-circuit campsites are also open. These offer reasonable accommodation and basic facilities. Proximity to the race track, noise levels and site facilities are all worth checking out in advance.